Product #21685 | SKU ER-4S | 0.0 (no ratings yet) Thanks for your rating! The Etymotic Research ER-4S stereo earphones feature an ultra-lightweight design, up to 42dB of external noise attenuation, and an enhanced output level for both the high and low frequency range, a combination that ensures clear, natural listening enjoyment at safe and moderate playback levels. 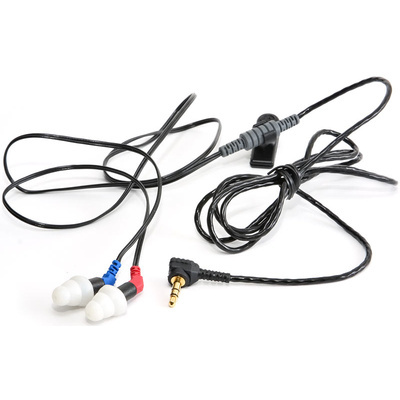 These earphones have the most accurate frequency response for monitoring musical material, and are recommended for home stereo and computer use, while also satisfying the requirements of most portable devices.